A boiler engineer was taken to hospital after suffering from the effects of carbon monoxide poisoning. The Penarth engineer was called out to investigate a gas leak in an office block, but fell victim to the silent killer as a result of faulty boiler work that had been carried out the day before. A Cardiff magistrates court has heard how experienced heating engineer John Courtney – employed by Wales and West Utilities – attended the scene at Mount Stuart Square, Cardiff Bay, on 22 October last year. During the court proceedings it was revealed that the fire service investigated the cause of the suspected leak and discovered, over an eight-hour period, levels that were more than 16 times the maximum safe CO level. 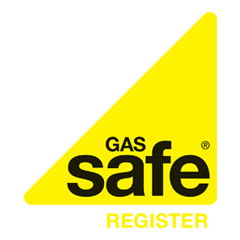 Health and Safety Executive (HSE) launched an investigation into the cause, and found the gas valve had been adjusted incorrectly, causing the boiler to produce a high level of carbon monoxide. Lewis John Rees and Christopher Bates of BR Greenwell Heating and Plumbing Services in Llantrisant had visited the premises on 21 October to repair an open flue gas boiler and to fit a new gas control valve. They pleaded guilty to breaching Gas Safety Regulations and were handed a fine of £5,000. They were also ordered to pay £8,000 in costs.